Causeway: Ireland Scotland Business Exchange, the membership organisation that fosters business connections across both sides of the Irish Sea, has announced John McClarey as the new regional chair for Scotland. An active committee member since Causeway’s launch at Edinburgh Castle in 2016, John McClarey, Managing Director of Business Fives Ltd, will head up the Scotland committee and oversee a series of events and initiatives for its members. 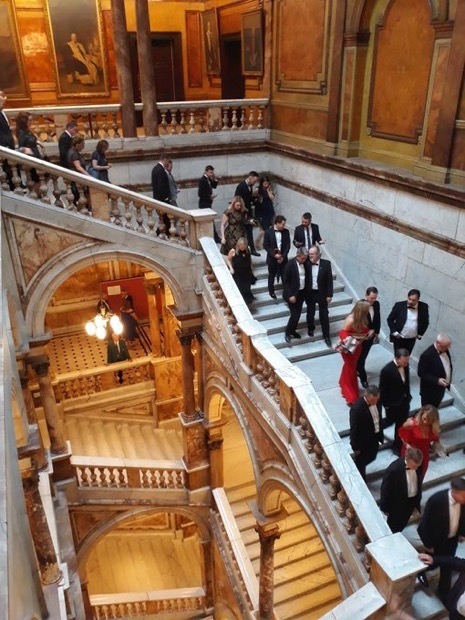 Set up to facilitate the sharing of business connections and opportunities to enable members to expand their networks, the Scottish and Irish Government funded organisation launched in Dublin in 2017 and in Northern Ireland at the end of last year. It is currently recruiting members for both its Dublin and Belfast committees. Tasked with building the Scottish membership, John brings his invaluable skill set from an extensive business development and event management background. An experienced entrepreneur and business owner and having spent time in both Northern Ireland and Scotland, John is well placed to understand the business challenges and opportunities facing businesses in Scotland, Ireland and Northern Ireland. Heading up the Scotland division, John will work closely with members of the Scottish committee, the Causeway board and fellow regional committees in Dublin and Belfast to grow the organisation and deliver benefits to its members.